Self-contained, comfortable single level gîte (52 sq.m.) 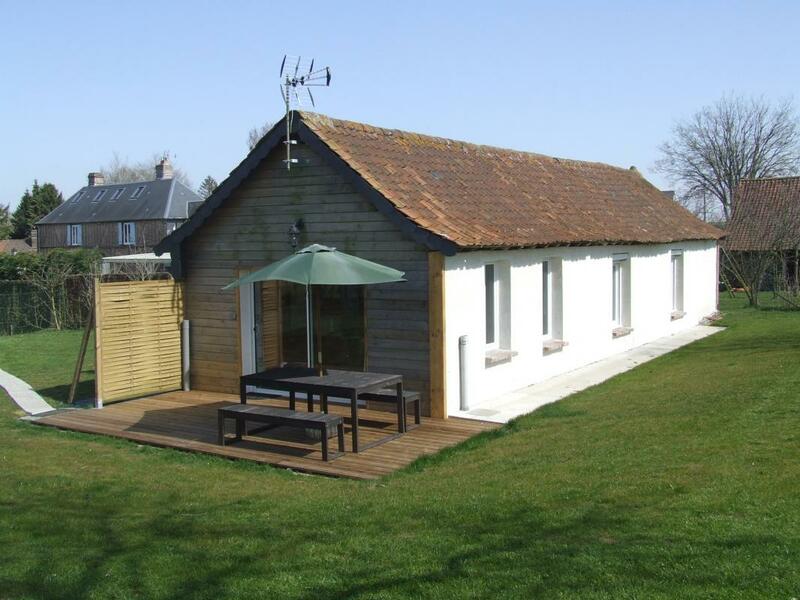 near the Baie de Somme, sea and forest in fully renovated 18th century farm building. Private fenced garden (800 sq.m., lawn, trees) with views of countryside.|Light & airy lounge opening onto south-facing wooden deck (18 sq.m.) with garden furniture. Fully equipped fitted kitchen opening onto living room. Two 10 sq.m. bedrooms (queen-size bed) (dual 80x200cm mattress bed), windows with electric roller shutters. Shower room, towel-drying radiator, separate WC. WIFI Internet access,. For further details or extra photos, contact the owners on 06 42 10 83 46..